The Tribal Logo Project took place during March 2012. 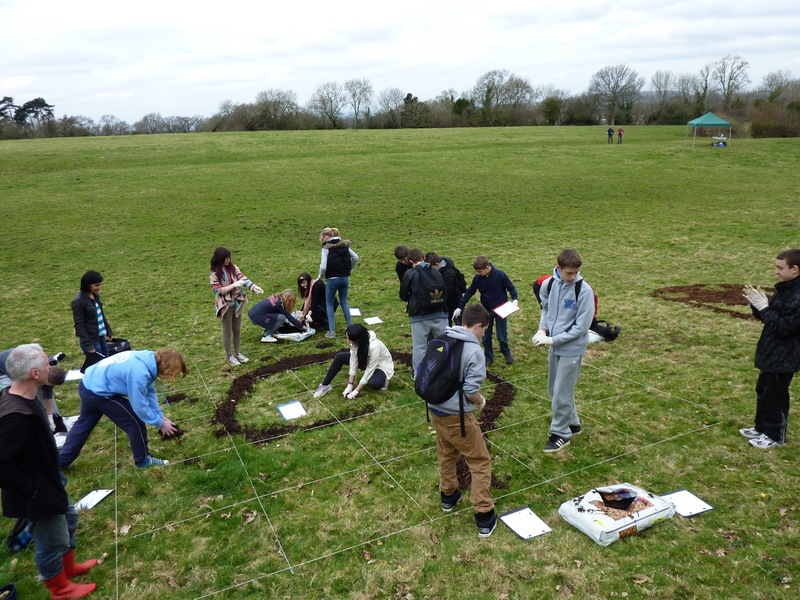 Students from Glyn Derw High School, Fitzalan High School and St Mary Immaculate High School took part in a three stage process to develop a series of 25m x 25m eco-grafitti tribal symbols or ‘logos’ to feature on the site of the Iron Age hill fort at Caerau. 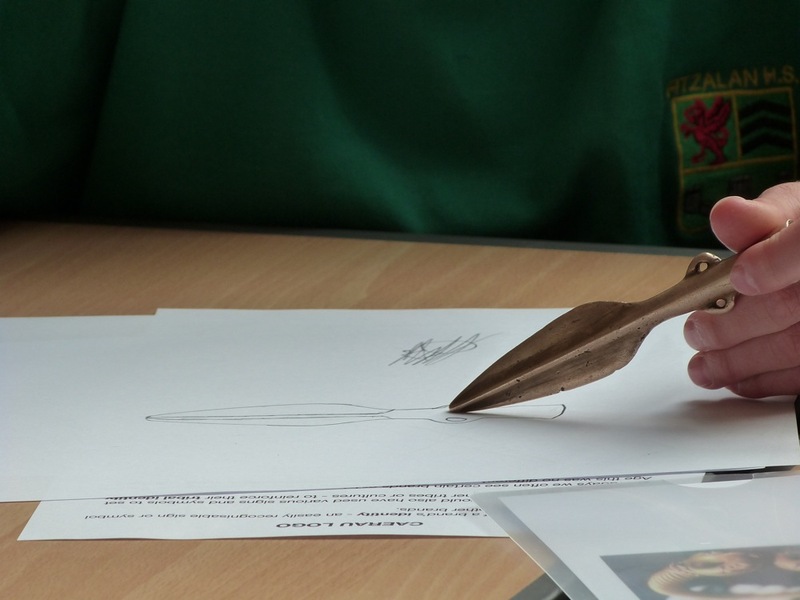 The project was devised and led by Paul Evans, CAER Heritage project lead artist. 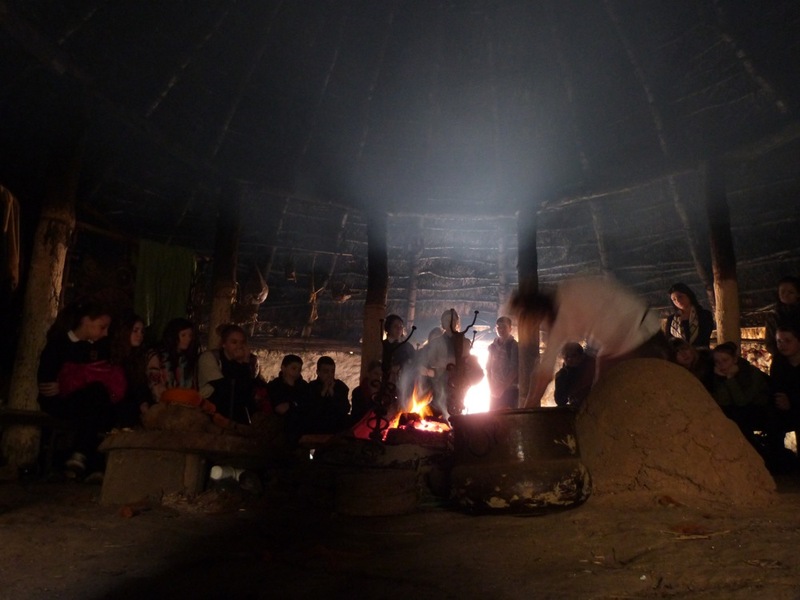 During a day visit to St Fagans: National History Museum students from the three schools got a chance to experience daily life in an Iron Village: life as it as might have been lived on the hill fort at Caerau. Ian Daniel and Oliver Davis took it in turns to act as our Iron Age hosts – presenting a fascinating talk that led us deep into the lives of the Silures tribespeople that occupied South Wales around 2000 years ago. After creating a 25m x 25m grid the students began to create the ‘eco-graffiti’ logos – or tribal symbols – at an impressive scale. 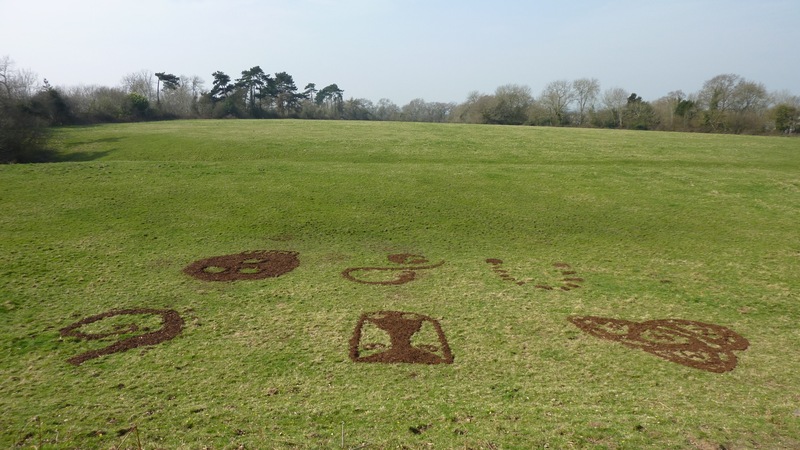 In the end we created six of these symbols – and we used over 600 litres of playground grade bark chippings! The symbols subsequently changed in nature as the bark chippings dried out and got lighter in shade.